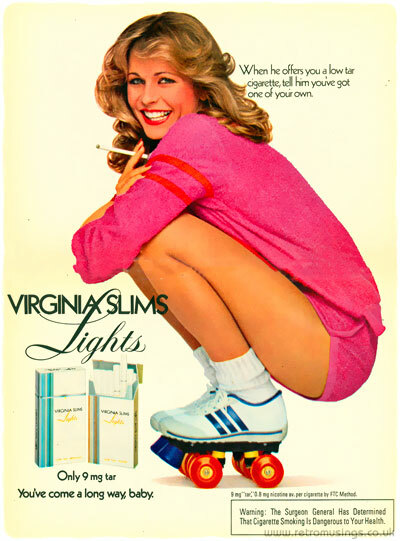 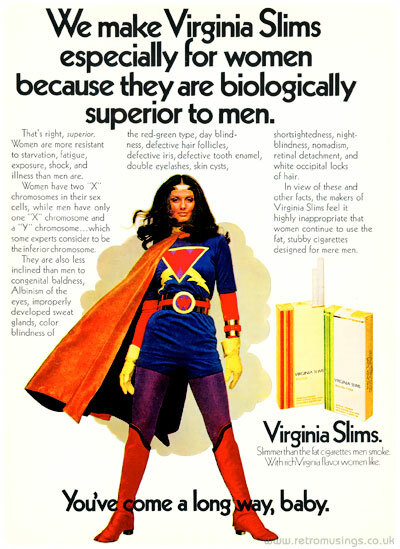 These ads for Virginia Slims Lights cigarettes with a plain white background date from 1980-83. 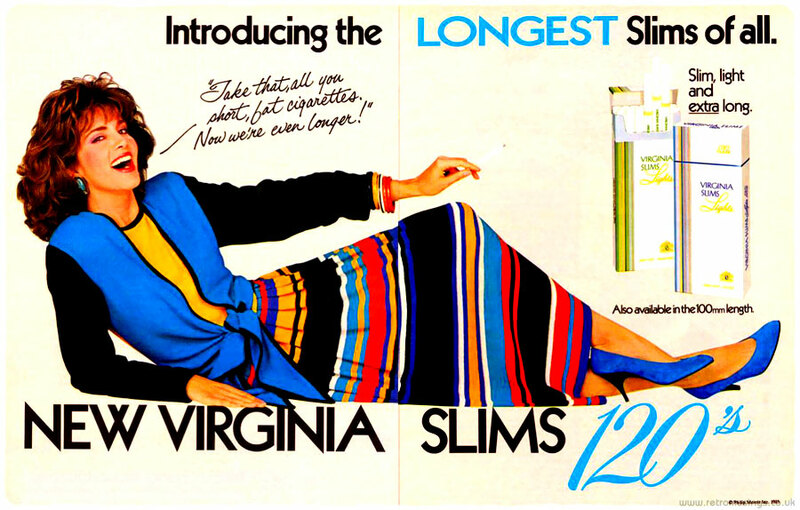 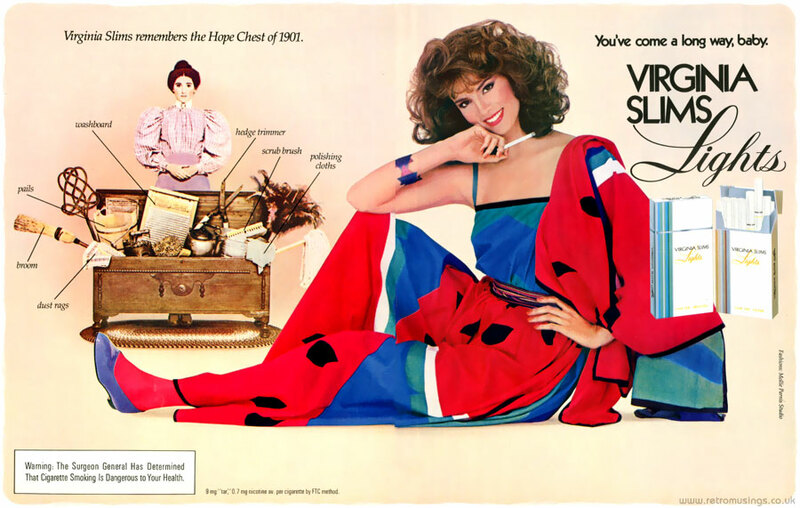 These ads for Virginia Slims Lights cigarettes date from 1980-85 and continued in the same two styles as the original cigarettes. 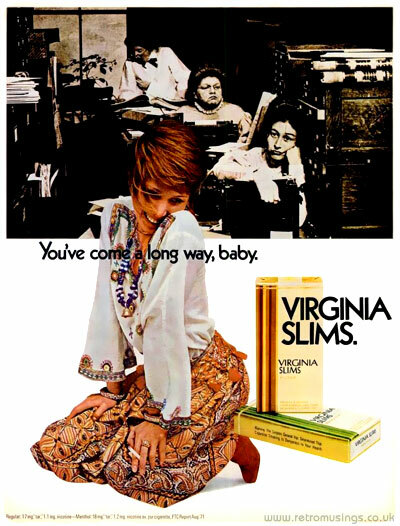 These ads for Virginia Slims cigarettes date from 1980-89 and continue in the same style as the previous decade. 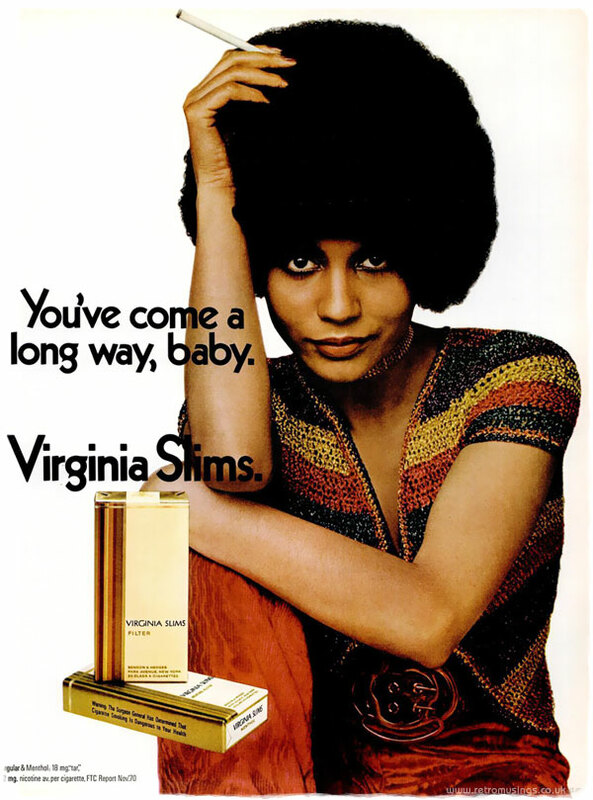 These ads for Virginia Slims cigarettes date from 1980-91. 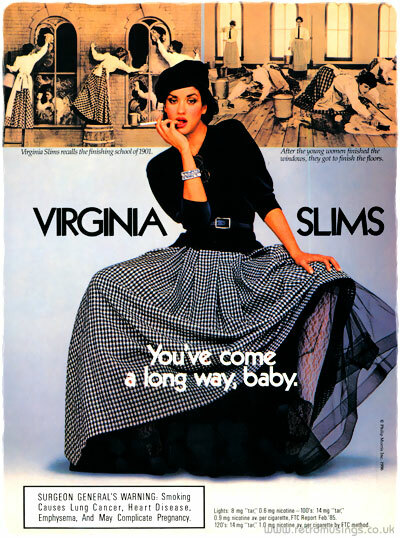 These ads for Virginia Slims 120’s cigarettes date from 1985. 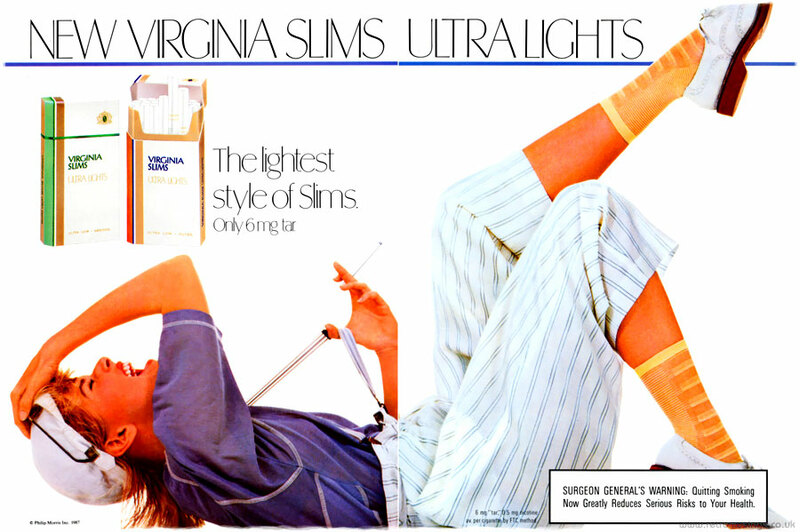 These ads for Virginia Slims Ultra Lights cigarettes date from 1987-88. 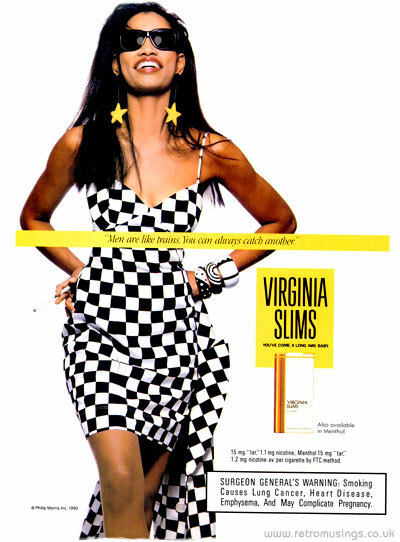 These ads for Virginia Slims cigarettes date from 1990-94 and began the first real change in style since the 1970’s.